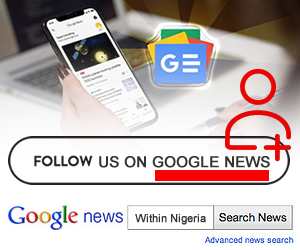 Get the latest gist and gossips happening inside Nigeria. Trending and Viral news including Photos and Videos. A prophet whose name is yet to be identified has caused outrage online after he was pictured taking off a lady's underwear in front of his congregation in church. A Councillor in Ogun State, Kazeem Ololade (APC), commissioned newly installed windows provided by him at the Araya Health Centre in Odo Esa, Ogun State. A sickle cell patient, Aderinsola Adebola Elizabeth lost her life following power outage at Epe General Hospital where she was surviving on oxygen. Guess whose photo pops up if you Google 'Nigeria's Most Bitter Woman'? It is the most Controversial Big Brother Naija 2018 Housemate, Cee-C.
Singer, Wande Coal has shared his side of the story in an ongoing fight with his baby mama. Photos of a one-legged man carrying out road construction in spite of his condition have been shared online to show how hardworking Nigerians are. "Mr President, I'm not a lazy person. I have handwork", says Emmanuel Chibuzor Okeke, a Nigerian male graduate. Nigerian lady, Angela Nwosu says her future husband must undergo cleansing in the river three times before he is qualified to marry her. OAP Freeze has published a video where he outlined all the reasons why Pastor E. A. Adeboye of the Redeemed Christian Church of God, RCCG, will not make heaven. Nigeria has got a counterpart-country where animals go into government offices to swallow things. Argentina officers are fired after blaming mice for 1,000 pounds of missing marijuana. A man was yesterday morning stabbed to death by one of his wives, while trying to separate their fight at their home in Dirdeu, Adamawa State. Nigerian 'BigBoy', Ismaila Mustapha claims he deposited N200m in advance so that he can be among the first owners of 2019 Royce-Royce Cullinan. Is Yvonne Rofem the tallest girl in Nigeria?